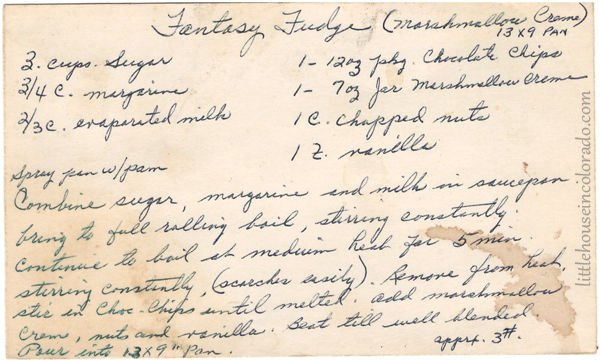 The age of this particular recipe card is unknown. It was handwritten in beautiful script on an index card. We don’t usually buy margarine so we uses salted butter instead. Instead of evaporated milk, we used heavy cream. The chocolate chips were a combination of several different half empty bags. We wound up with a combination of milk chocolate, semi-sweet and bittersweet chips. Normally if a recipe doesn’t specify, I reach for walnuts to put in cookies and fudge. However, my son has become very vocal lately about his distaste for walnuts so we used pecans in this recipe instead. We used a store brand Marshmallow Creme (Kroger).Turned out great! 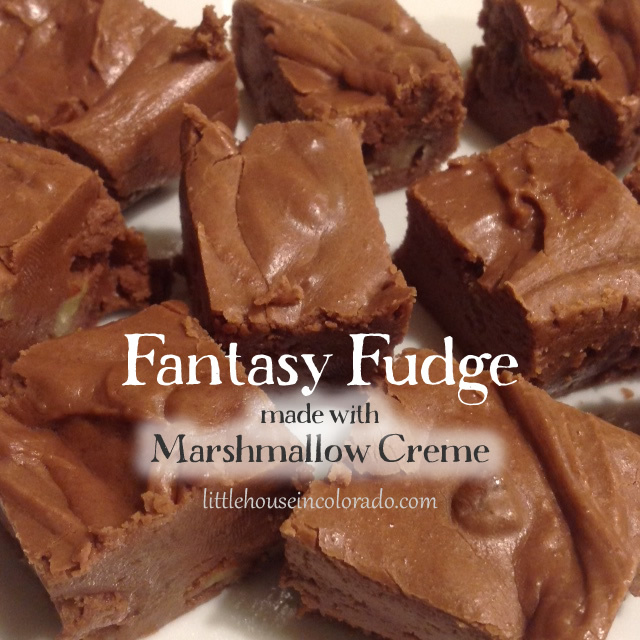 This fudge turned out beautifully! It set nicely, cut easily and tasted wonderful! 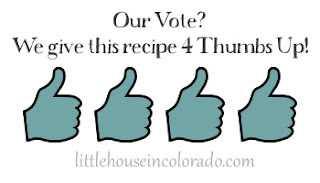 We easily gave it FOUR THUMBS UP!!! Spray 13 x 9" pan with Pam. Combine sugar, margarine and milk in saucepan. Bring to full rolling boil, stirring constantly. Continue to boil at medium heat for 5 minutes stirring constantly (scorches easily). Remove from heat. Stir in chocolate chips until melted. Add marshmallow creme, nuts and vanilla. Beat til well blended. Pour into 13 x 9" pan. - We don’t usually buy margarine so we uses salted butter instead. - Instead of evaporated milk, we used heavy cream. - The chocolate chips were a combination of several different half empty bags. We wound up with a combination of milk chocolate, semi-sweet and bittersweet chips.